How about a good dose of white to start your Wednesday? There's nothing like the clean, crisp and fresh appeal to this favorite color. Even on the dreariest of Seattle days, white can brighten up any day like nobody's business. I love white bedding and I know what you're going to say... it shows the dirt. It's actually the easiest color to keep clean with one simple thing and it's called bleach. For someone with two small dogs who love to nap on the bed, my white bedding looks as good as it did the day I brought it home. Just say yes to white! This is not my personal bedroom, by the way. 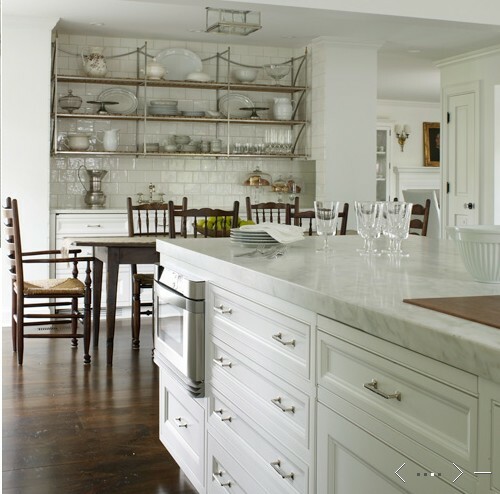 How incredible is this white kitchen and those shelves! Stunning!!! You know how much I love a white bath. 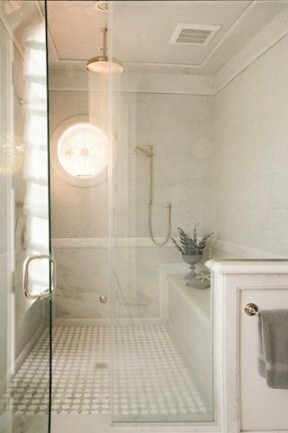 Hello, dreamy shower! Love the look of white chairs and want to keep them clean? Slipcovers do the trick every time! Easy to remove and wash or take to the cleaners. 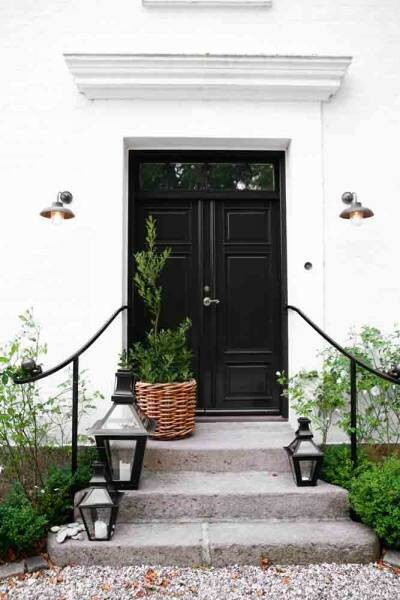 A white exterior. Classic, people, just classic! 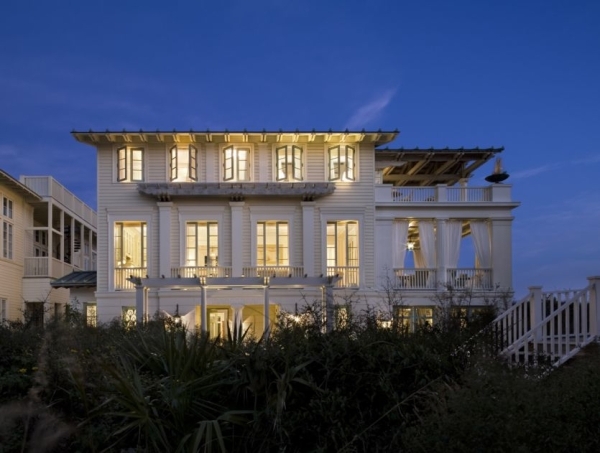 And, while we're talking about white today, we might as well include a fabulous beach house.